Justin Sun, born in 1990, Bachelor of Peking University and Master of the University of Pennsylvania, former chief representative for Greater China of Ripple, is the founder of TRON, the CEO of BitTorrent, as well as the founder and CEO of mobile social APP Peiwo. He was Asia Weekly’s cover person in 2011, Davos Global Shaper in 2014, named Forbes China 30 Under 30 in 2015, and the only millennial student in the first batch of entrepreneurs at Hupan University Founded By Jack Ma From Alibaba Group in 2015. On July 24, 2018, TRON acquired BitTorrent.Inc, the Internet technology company in San Francisco, and Justin Sun has become the CEO of BitTorrent Inc. since then. 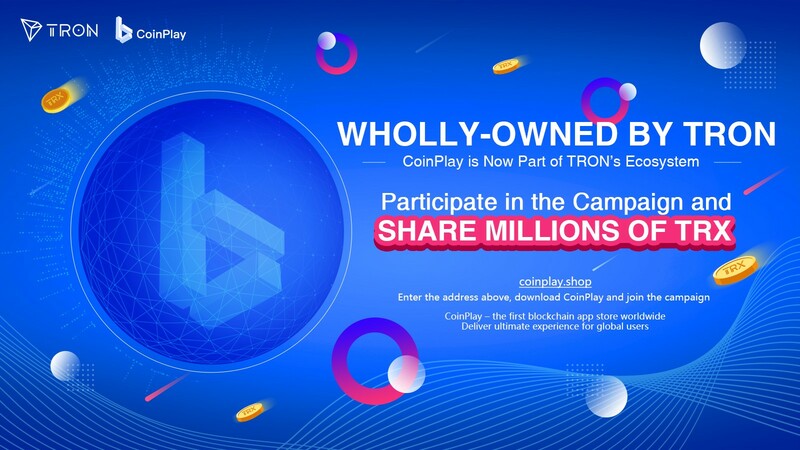 Download the app from coinplay.shop to join the campaign to share millions of TRX.